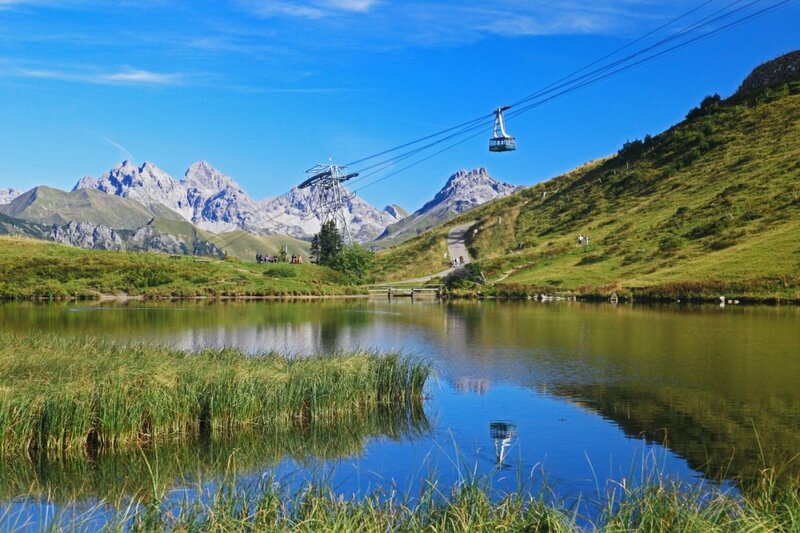 In a flash you are at the highest peaks of the Alps! 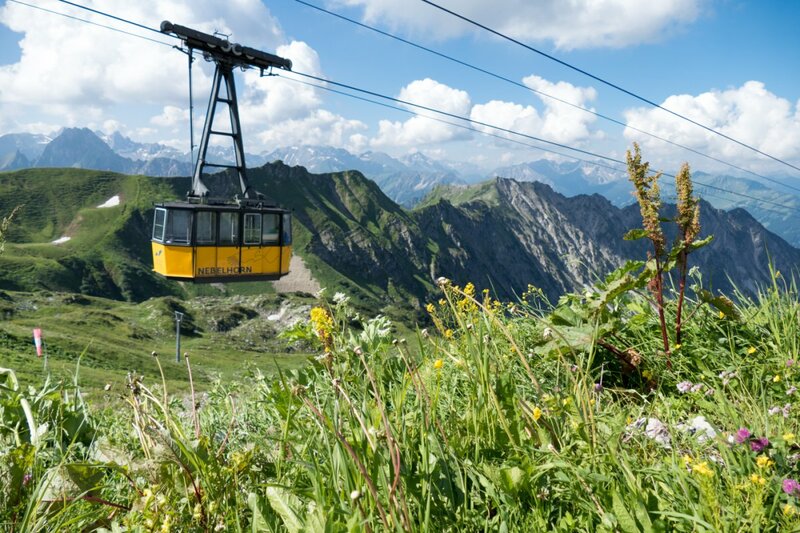 Diverse, exciting and family friendly: the six large hiking areas in Oberstdorf and the Kleinwalsertal Valley offer unique mountain experiences for people of all ages. 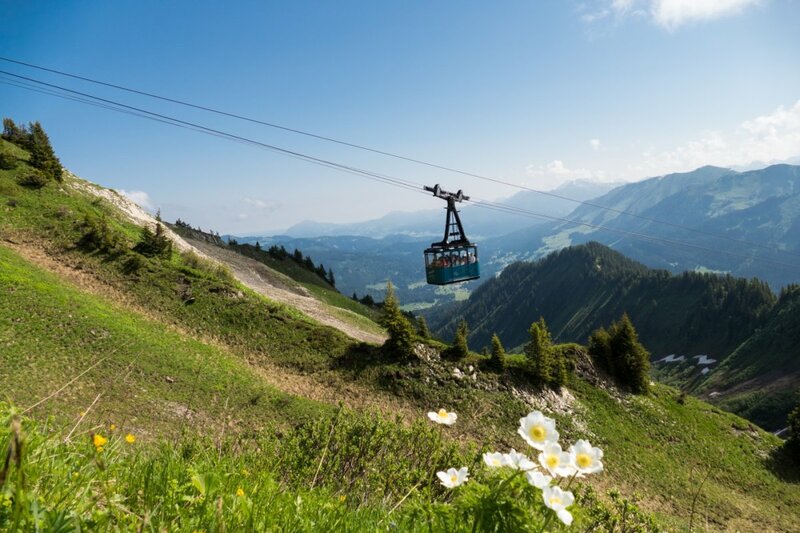 This summer, the Nebelhorn, Fellhorn / Kanzelwand, Söllereck, Heuberg, Walmendingerhorn and Ifen once again offer a broad range of options. The valley station of the Fellhorn cable car is located between the Heini-Klopfer-ski jump and Birgsau. If you are bringing a dog with you on the Fellhorn or Nebelhorn cable car, they have to wear a muzzle. You can purchase a muzzle at the valley station for 5,00 – 10,00 EUR depending on the size of your dog. The impressive 400-peak view is legendary! Höfatsweg trail from the Höfatsblick cable car station to the Zeigersattel reveals what makes the high mountain so special. Informative stations answer questions about geology, flora and fauna. The large Marktrestaurant at the Höfatsblick cable car station, the new summit restaurant and the glazed Gemsnest panoramic restaurant all offer mouthwatering meals. This mountain is primarily geared towards families with children. As such, there’s plenty for this target group to see and do here. 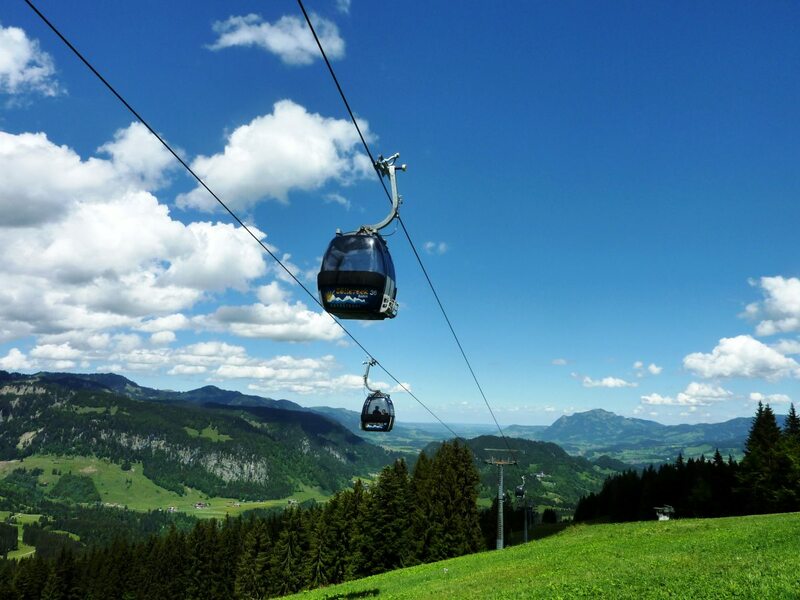 There’s the large forest climbing park with a parcours with several levels of difficulty and the Allgäu Coaster, the rapid toboggan run on rails. The nature trail with interactive stations, geocaching and children’s playgrounds are also genuine highlights. Current offer: In the summer, children under 18 years old, accompanied by an adult are free of charge! Parking is free.